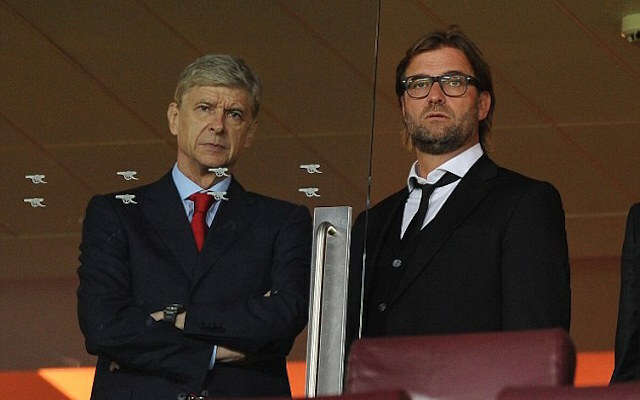 Arsenal are looking to appoint departing Borussia Dortmund boss Jurgen Klopp with Arsene Wenger set to step down from his managerial role this summer, according to reliable German sport magazine Kicker. Klopp announced last week in a press conference that his seven year star at Dortmund would come to an end, but expressed his desire to look for a new position immediately amid talk of a ‘Pep Guardiola’ style sabbatical (via The Guardian). The eccentric coach has been heralded as a suitable replacement for Wenger, but given that the Arsenal boss is only one year into a three-year deal, the move doesn’t seem to make sense. However, according to Kicker’s sources, Wenger is set to assume other duties at the club with Klopp a desirable option for the Arsenal board to build on the foundations laid down by the legendary Frenchman. The situation at Arsenal is unhealthy for the future, a club where a manager decides when he’ll depart and for how long he wants to sign a new contract; at the age 65, this affects any potential contingency plan. It’s all about timing when appointing a manager and Arsenal may find themselves in a situation where Wenger decides he’s had enough but the board are left without any suitable replacements. As brutal as it may sound, for the future of the club, it could be in its best interest to ask Wenger to step aside and secure young, vibrant coach such as Klopp whilst he’s available.